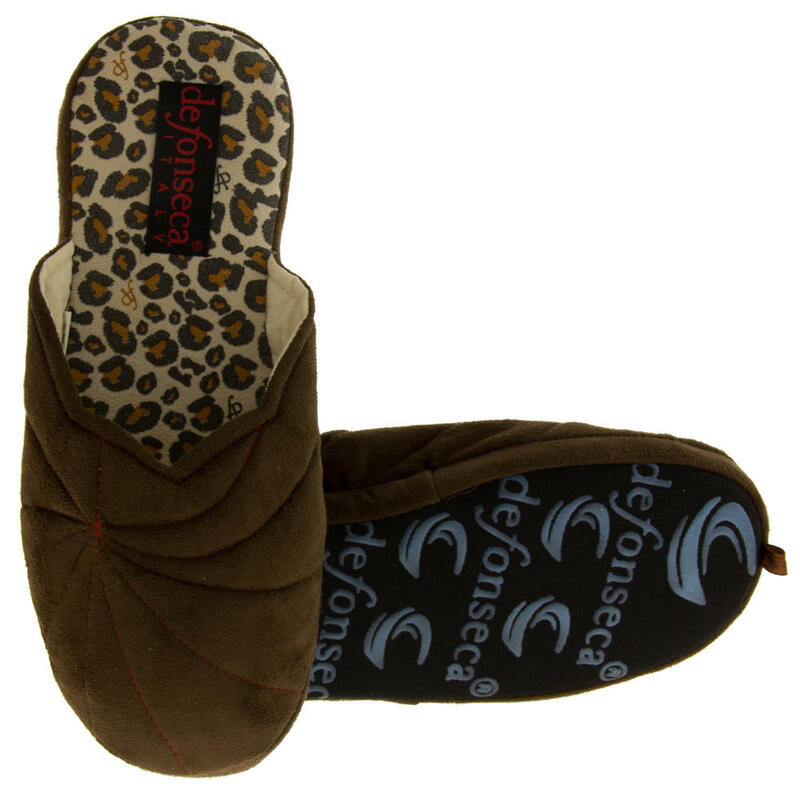 Beautiful Comfy Slippers Ideal for Around the House ! 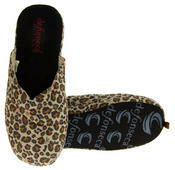 These mule slippers are great for around the house. Leopard print design. Made by DeFonseca Italy. DeFonseca is well renown for it's quality and innovative design. Cushioned insole. Textile/plastic composite sole with grips.